What’s the difference in benefits for small businesses and large? Can’t find the benefit you want, need or value; email us to make a suggestion. I want to be a member of cotswolds.com and Marketing Cheltenham. What’s the difference and can I join both? Absolutely! Although if you are within the boundaries of Cheltenham Borough Council district and join Marketing Cheltenham, then you’ll get the benefits of a basic entry level listing cotswolds.com included automatically too. Alternatively, you can gain even more exposure by upgrading your listing with cotswolds.com for just £200. We have partnered with Cotswold Tourism so that our members benefit from their exceptional hard work raising awareness of the region, and have negotiated for all our members, large and small, to get a basic entry level listing on cotswolds.com. You’ll also then benefit from our work producing content, which will be shared via the Cotswold Tourism channels, giving you the best of both worlds. Even better, both memberships are administered through one contact. I’m a member of Cotswold Tourism already and am not due to renew until late 2018. 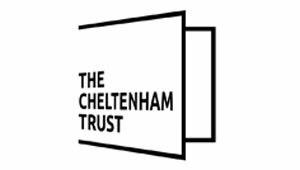 Can I join Marketing Cheltenham now and how does this work? I’m outside the Cheltenham Borough Council boundary but class myself as Cheltenham. Can I still join? A few of your benefits aren’t applicable to all members. Why not? All of our benefits are available for all of our members to use at their discretion, however naturally some won’t fit the profile of your business. For example, our proposed MICE booking platform for conference, event and meeting venues is only relevant if you can take these kinds of bookings. There are plenty of benefits to choose from, and plenty to maximise the value of your membership with us, so we know you’ll find lots to work. I’m not VAT registered; do I need to pay VAT on top? Unfortunately, you do. With our pricing model, we have tried to account and compensate for smaller businesses, adding in an introductory tier at £195 +VAT. We believe that this is affordable for small businesses, whilst still enabling us to make the scheme self-funding and sustainable, which is the long-term need for the Town. You’re a new initiative; how do I know it will work? We’ll also soon be adding first-hand member experiences and case studies to the site if you still need convincing! I’m a member of Cheltenham BID; do I get a discount? Cheltenham BID has invested in Marketing Cheltenham on your behalf, allocating a proportion of your Cheltenham BID levy to make use of the Marketing Cheltenham / Visit Cheltenham channels. This means that you are already part-paid for membership. At the time of joining, we’ll deduct this from the total fee, and you simply need to pay the difference.